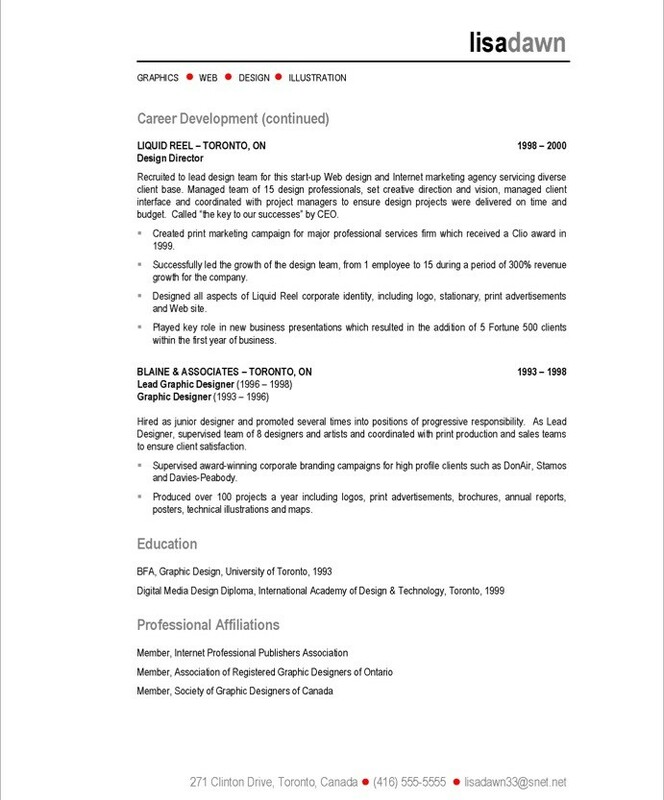 This graphic and web designer had created her resume based on a template. There are only a few resume templates loaded with MS Word and as a result, managers and recruiters receive hundreds of identical resumes every week. This is especially off-putting for a graphic design resume where creativity is important. To correct this resume, we created a simple, clean layout that reflected Lisa’s personal design style. 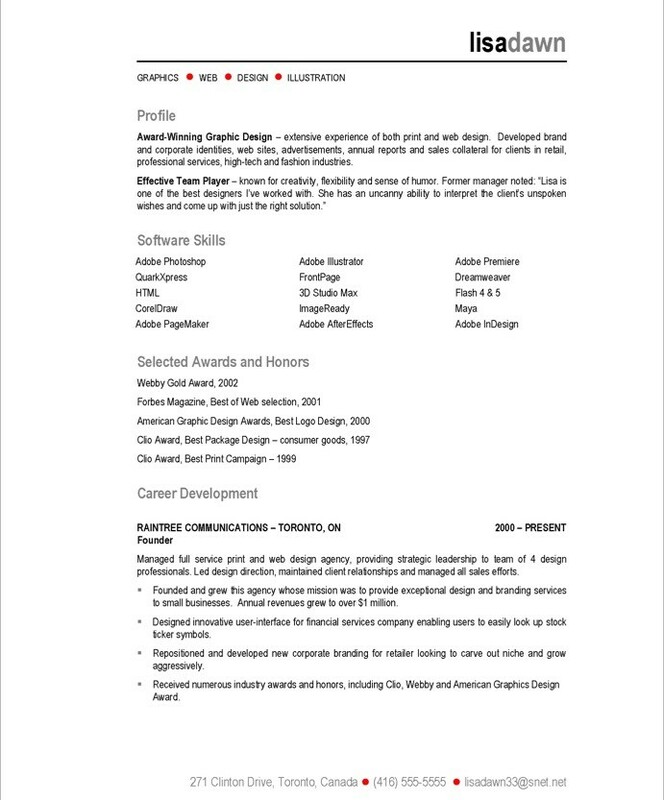 We also highlighted key design skills at the start of the resume. Finally, we provided much more detail regarding Lisa’s design achievements to clearly demonstrate her value.